Designer Wellingtons courtesy of Marc by Marc Jacobs. Available in five different flavors, these rainboots feature an abstract letter print design spelling out Marc Jacobs. Really cool wellies, I love them. Awesome rain boots, I bought the lollipop color, so cute. gorgeous boots, I love the logo print. Size runs a bit big but with a thick pair of socks they are perfect. Very happy. 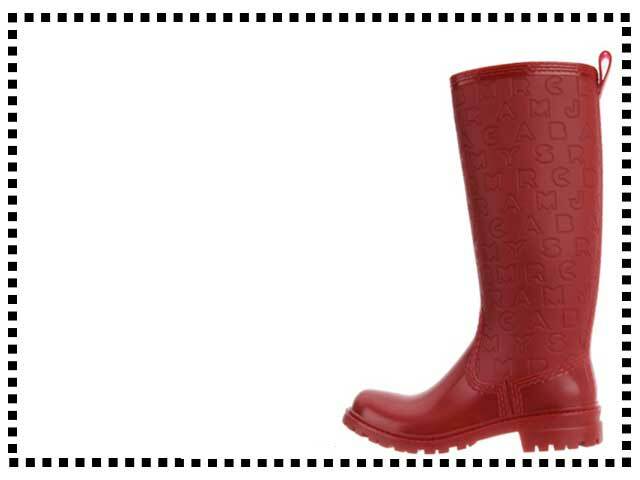 Designer rain boots available in five different colors - red, teal, lollipop, black, black/nylon.